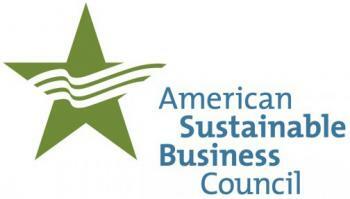 WASHINGTON - In response to Amazon’s announcement that it will work with Congress to raise the federal minimum wage above its current rate of $7.25, the American Sustainable Business Council (ASBC) released statements supporting the move. "We applaud Amazon for its plan to work with Congress to raise the federal minimum wage above $7.25. Other large companies have raised their own wages, but Amazon stands out as a leader for committing to push Congress to raise the minimum wage for all employees in America. A strong minimum wage boosts consumer demand, which starts a virtuous cycle of economic growth," said Hammad Atassi, CEO of ASBC. Holly Sklar is CEO of Business for a Fair Minimum Wage and serves on ASBC’s Board of Directors. She said,"Amazon's moves to raise its entry pay to $15 and advocate for raising the federal minimum wage are big steps forward. All businesses, big and small, should pay a wage that workers can live on. It's way past time to raise the impoverishing $7.25 federal minimum wage, strengthen consumer demand, and help level the playing field among businesses." ASBC and Business for a Fair Minimum Wage have sign-on statements for businesses to show their support of a strong federal minimum wage. ASBC’s may be found here: http://bit.ly/2P6c3dk. ASBC’s report, The High-road Workplace: Route to a Sustainable Economy, describes the benefits of high-road employment practices and public policies, including a strong minimum wage. The report may be found here: http://asbcouncil.org/sites/default/files/asbc_building_the_high_road_report_2017.pdf.